the United States, England, Japan and Brazil. Miami poltergeist has event records signed by all witnesses as to the way things happened. These witnesses include police officers, a skeptical magician, and workers at the warehouse. The Rosenheim case is another, with multiple witnesses and unexplained electric and telephonic phenomena. 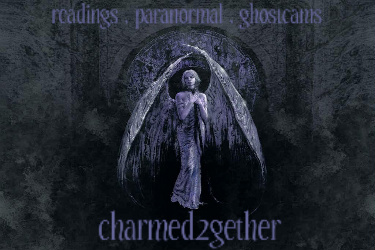 A pamphlet, printed in London in 1698 by Mr. Ricard Chamberlain, provides an account of a poltergeist-type haunting that had occurred some years before. * The "Wizard", Livingston, West Virginia (1797). * The Bell Witch (1817). * The Haunting of The Fox sisters (1848) - arguably one of the most famous, because it started the Spiritualism movement. * The Great Amherst Mystery, 1878-79. * Hopfgarten near Weimar (1921). * Eleonore Zugun - The Romanian 'Poltergeist Girl' (1926). which is often called "the most haunted house in England." Dr. Friedbert Karger was one of two physicists from the Max Planck Institute who helped to investigate perhaps the most validated poltergeist case in recorded history. captured on film), and strange sounds that sounded electrical in origin were recorded. Fraud was not proven despite intensive investigation by the physicists, journalists, and the police. The effects moved with the young woman when she changed jobs until they finally faded out, disappeared, never happened again, and never were spoken about again.
" the first series, transmitted in 1973, consisted solely of documentaries. From the second series onwards, the episodes were a combination of documentary and drama. * The Enfield Poltergeist (1977). reporters, parapsychologists, and workers at the warehouse. * The Mackenzie Poltergeist (fairly recent) - Famed for haunting Greyfriars church yard, Edinburgh, UK. * The Canneto di Caronia fires poltergeist (fairly recent (2004-2005)) - Famed for defying all attempts at a scientific explanation, Sicily, Italy . * The Entity Case allegedly involved a single mother of three named Carla Moran who was being repeatedly raped by an invisible entity and its two helpers over the course of several years. * The case of Tina Resch, widely reported in the media in 1984. * In Denver, Colorado there have been several reports of unknown forces positioning toys, furniture, and objects in patterns and strange positions. * The Thornton Road poltergeist of Birmingham (1981). of Munich found none of these effects present and psi proponents claim that no evidence of fraud was ever found, even after a sustained investigation from the police force and CID. linked phenomena. Some scientists go as far as calling them pseudo-psychic phenomena and claim that under some circumstances they are caused by obscure physical effects. Skeptics think that the phenomena are hoaxes perpetrated by the agent. Indeed, some poltergeist agents have been caught by investigators in the act of throwing objects. A few of them later confessed to faking. abnormal air currents etc ]. until either they go away, usually in 3–6 months, and travelling to another victim or killing the victim. Both the name and concept of the poltergeist became famous to modern audiences from 1982 in the Poltergeist movies and the subsequent TV series Poltergeist: The Legacy. oooo has this ever happened to anyone? not me but i think it does happen. although i think it is rare...the place has to be really freakin haunted for the good stuff to happen like moving beds and furniture..
Another great read and interesting topic mara I have yet to experience poltergeist activity....which is a good thing!! ..yes you would think it happens very rarely..but the opposite is treu..it`s happening really often but because not many believe this ,not many talk about it let alone in public. Pitt....yep that`s a really good thing...LMAO...keep it that way please..lol..